Hofstra Women’s Rugby Club continued their fantastic form on Sunday, October 11th, with a 17-10 win over Rutgers, a team who the Pride had not defeated in over four years. The win clinched a berth in the Tri-State Conference Playoffs for the team. A regular on the scoresheet, Kim Tran again led the way with two tries, and Nery Mendez tacked on another to pace the Pride. The team will next be in action on Saturday, October 24th when they take on the University at Albany in the Tri-State Conference Quarterfinals. Hofstra Women’s Ultimate Frisbee Club traveled to Rutgers University on Friday, October 9th and Saturday, October 10th to compete in a tough tournament bracket that included Rutgers, Columbia, and Yale among others. The Pride came away with one victory on the trip: a nail-biting 11-10 decision over The College of New Jersey. Hofstra Men’s Ultimate Frisbee Club also spent some time in the Garden State, as they participated in the Autumn Sky Tournament in Mercer, New Jersey on Saturday, October 11th and Sunday, October 12th. The team came out of the gates quick in their first game against Stony Brook, going up 3-0 in the opening minutes. Stony Brook retaliated with a six-point streak, but big hucks from Hofstra’s Spencer Riggins and smooth offense from Colin Adams and Gabe DeOliveira took the Pride into half time with a 7-6 advantage in a matchup they would ultimately win, 11-8. Israel Marin’s toe-dragging catch in the far right back corner of the end zone was a highlight of the weekend. Hofstra Equestrian Club had another great outing at their show in Selden, New York on Sunday, October 11th. Julissa Hoogeveen had two gorgeous rides in the Open Flat and Intermediate Fences divisions, pinning in her over fences class. Kierstin Berwick pinned in both Intermediate Flat and Intermediate Fences, and Maria Sorrentino had two fantastic rounds in Intermediate Flat and Novice Fences. 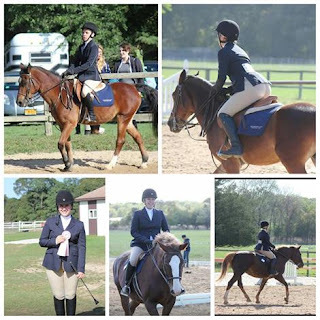 Kate Milford had a successful Beginner Walk Trot Canter class, earning a fourth place ribbon. The Pride’s Walk Trot riders finished out the day on a high, which included a difficult mount for Angelina Purcell, who managed to maintain composure throughout a beautifully handled ride. Hofstra’s 29 Club Sports are always looking for new members and welcome all experience levels. If you would like to find out more information about joining one of our clubs, please visit hofstra.edu/recreation and click on the ‘Club Sports’ tab, or feel free to visit us at the Hofstra Fitness Center with any questions you may have!